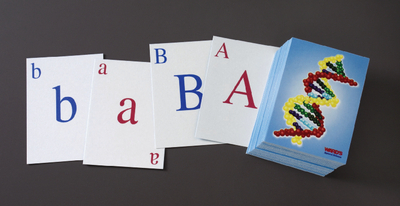 Demonstrate the Hardy-Weinberg principle, population genetics and allele frequencies, and assortment, as well as Punnett squares and inheritance patterns with this deck of 100 cards. Two sets of alleles (A, a and B, b) are included. Size of cards: 2 1/2" x 3 1/2".